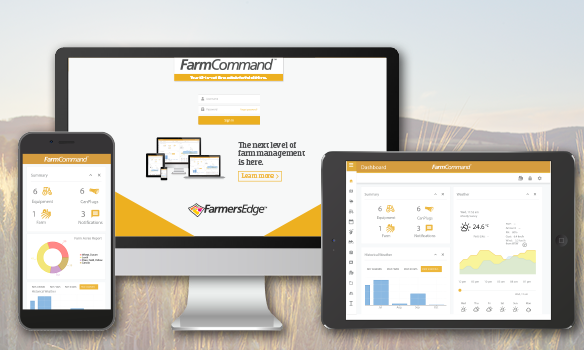 Farmers Edge gives you complete control of your farm’s data. We are not aligned with an equipment manufacturer or a chemical/seed company. Our only business is in collecting, organizing, analyzing and storing your data for you. Unlike some other data collection companies, you are the sole owner of your data. 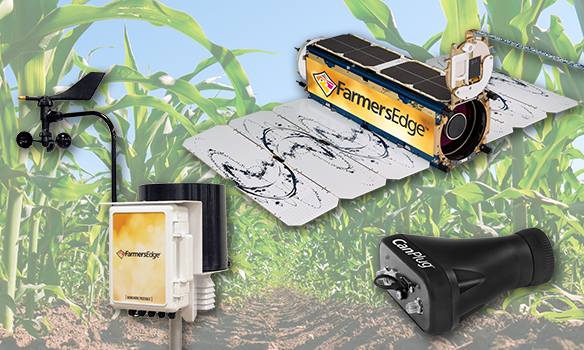 Receive professionally installed hardware to enhance your fertility programs and farm management decisions with data from your fields. 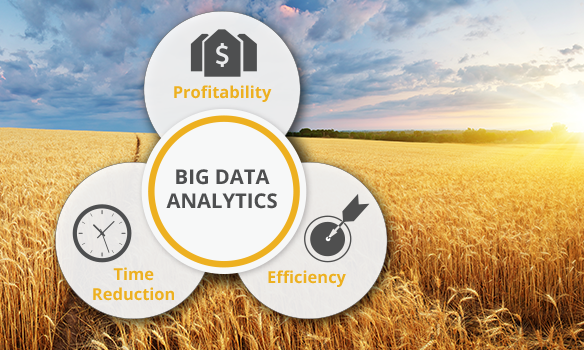 Your all-in-one farm management platform. What does smart solutions mean? 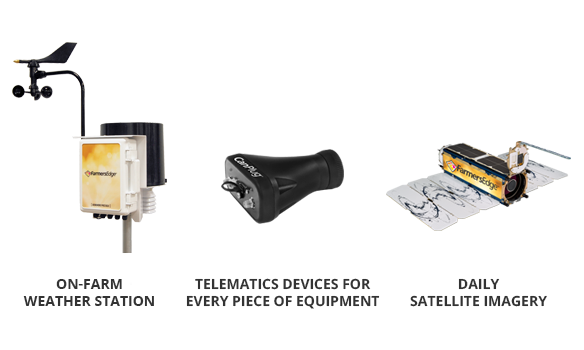 Smart solutions means installing on-farm weather stations that gathers and measures conditions where they matter to you – on your farm. 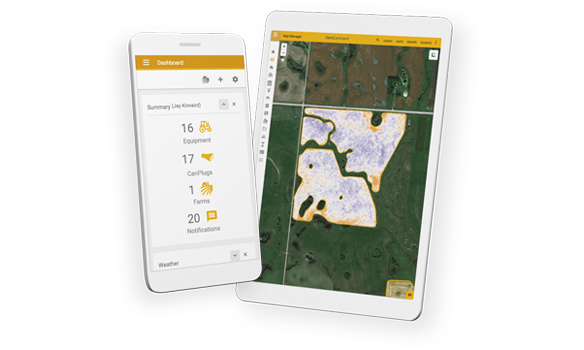 Smart solutions means utilizing the largest constellation of satellites in the world to capture field imagery once every 2-3 days on average, so you don’t have to wait for up to 2 weeks to get satellite useable imagery of your crops. And smart solutions means offering these and other features at an affordable subscription rate that offers flexibility in the level of services contracted. We believe that making informed decisions based on accurate, local data lead to the best outcomes. 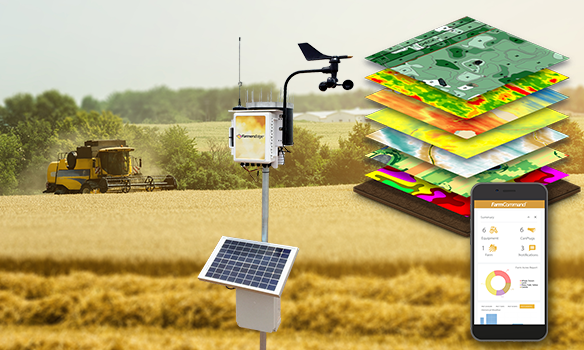 That’s why Farmers Edge offers subscriptions that include on-farm weather stations, the highest frequency satellite imagery in the industry, and zone-based soil testing; putting it all together on a web-based platform that allows you to access your data quickly and conveniently on your computer or smart phone*. Better information leads to better decisions, which leads to better outcomes. Giving you the right tools for your operation at the right price is our goal. Get started today with the most complete solution available! View pricing and plans here. *Not all services are available for all subscription levels. Consult subscription option level information on this website or contact us for more information on which services are included at each subscription level.